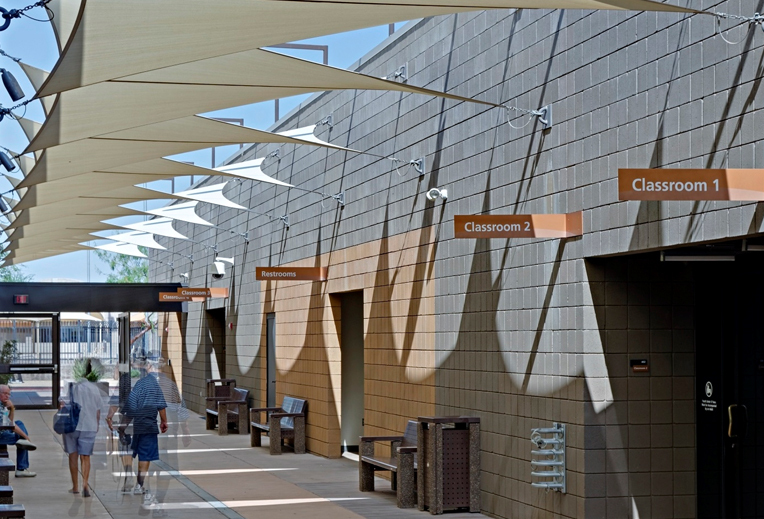 Tensile Membrane Structures, when executed properly, have dramatic and inspiring forms that can be filled with light and effectively span large distances. These structures command respect from architectural, engineering and construction experts as well as from the common man on the street. 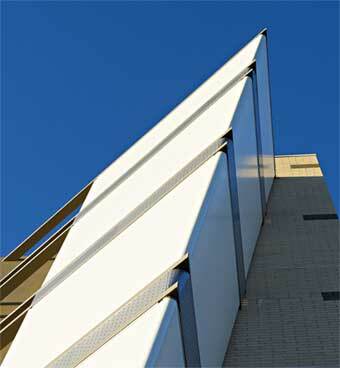 ITS’s structures grasp and bring to conscious an architectural awareness in all of us. With expressive details, cutting-edge technologies, and moving shapes and forms, ITS merges artful design with structural applications to create an innovative and expressive tensile architecture. ITS delivers the collective services of architectural and structural design combined with the turn-key delivery of fabrication and installation of our tensioned fabric and metal structures. This collaboration and successful marriage of the aesthetic and the practical is paramount to a projects success and is why, in part, ITS is sought after as a premiere specialty contractor of tensile membrane structures. At ITS, we are NOT an unwary contractor who hangs panels of shade cloth from support structures or wraps simple awning frames in canvas, but instead we are expert membrane engineers and builders who have a deep understanding of the dynamic elements which create the foundation of tensile structure design. Whether we are considering opposing curvatures or anticlastic forms, compensation or prestress in a panel, how or where to integrate the appropriate compression members with tension members, analyzing load states, or developing the appropriate cut patterns , ITS is proficient in all aspects of the development of tensile membrane structures. Our clients understand that ITS is not a one-dimensional trade contractor, but is instead a seasoned builder of tensile architecture with deep understanding of the entire design and construction process. There are key principles to tensile engineering which will make a structure more successful by reducing loads, increasing stability, extending the structure life and ultimately making the structure safer. The devil is in the details and we are all about the details.